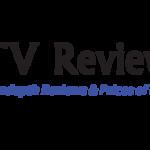 The information provided by TV Reviews Kenya (“we,” “us” or “our”) on https://tvreviewskenya.com/ (the “Site”) and our mobile application is for general informational purposes only. All information on the Site and our mobile application is provided in good faith, however we make no representation or warranty of any kind, express or implied, regarding the accuracy, adequacy, validity, reliability, availability or completeness of any information on the Site or our mobile application. UNDER NO CIRCUMSTANCE SHALL WE HAVE ANY LIABILITY TO YOU FOR ANY LOSS OR DAMAGE OF ANY KIND INCURRED AS A RESULT OF THE USE OF THE SITE OR OUR MOBILE APPLICATION OR RELIANCE ON ANY INFORMATION PROVIDED ON THE SITE AND OUR MOBILE APPLICATION. YOUR USE OF THE SITE AND OUR MOBILE APPLICATION AND YOUR RELIANCE ON ANY INFORMATION ON THE SITE AND OUR MOBILE APPLICATION IS SOLELY AT YOUR OWN RISK. RESULTS MAY VARY.The testimonials on the Site are submitted in various forms such as text, audio and/or video, and are reviewed by us before being posted. They appear on the Site verbatim as given by the users, except for the correction of grammar or typing errors. Some testimonials may have been shortened for the sake of brevity where the full testimonial contained extraneous information not relevant to the general public.